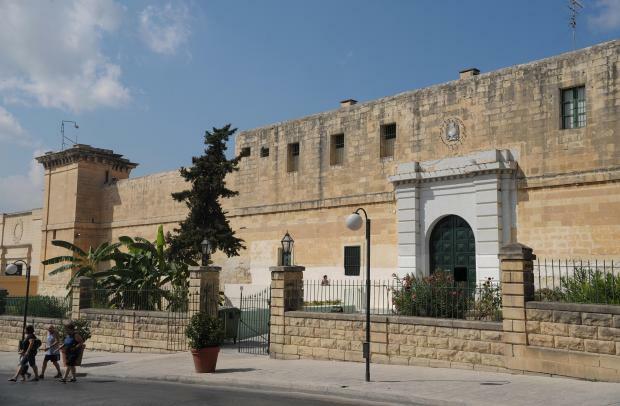 Playmobil figurines with synthetic drugs hidden in their heads were found at Corradino Correctional Facility, where inmates are paid to assemble the popular toys, the Times of Malta has learnt. Sources said a surprise inspection yielded 10 suspect figurines. The find followed the discovery of yet more drugs being smuggled into prison, this time inside a toddler’s nappy when the child was taken to the facility for a contact visit with the father, who is serving time. The sources said a good number of inmates were paid by Playmobil to assemble figurines in their free time. A prisoner raised guards’ suspicions when they saw him handing over a figurine to another prisoner. When they checked it, they found what was suspected to be a synthetic drug, the sources added. Searches on the first inmate yielded another three figurines, all carrying the suspicious powder, and a further six were found in his cell. The sources said the prisoner in question was transferred from division 11 to maximum security division six and disciplinary proceedings were filed against him. Criminal proceedings are also expected to be taken. In another incident recently, prison warders conducted a surprise search in a cell after noticing that a prisoner was acting suspiciously. Nothing irregular was found during the search, but a sniffer dog kept barking at the toilet in the prison cell. Both the toilet and the flushing were checked but, again, it proved negative. Still, the dog continued to bark incessantly, indicating it was clearly detecting the presence of drugs. The guards had no option but to remove the toilet, but still nothing was found. It was then decided to break it, and this revealed a number of sachets apparently ready to be distributed, the sources said. The sources said more than 100 grams of a suspicious substance was found and though it was still being tested, the authorities believed it was a “very dangerous drug” usually added to cigarettes. The prisoner insisted the substance was not his. He was taken the police headquarters for interrogation and then returned to prison, where he was kept in the single-room division. When asked about the find, a spokesman for the Home Affairs Ministry would only say investigations were still ongoing. It said the cooperation with a subcontractor of Playmobil Malta provides the CCF with an important, recognised measure of work. Through this measure, the CCF creates small earning opportunities and promotes reintegration. "The CCF’s internal safety regulations are high, and searches and inspections are conducted frequently in all areas of the prison through specialised teams and the facility’s K9 (canine) section. Any activity denoting possession or movement of suspected illegal substances is referred to the police for investigation. Surprise searches in the CCF by police officials are also carried out," the ministry said. Times of Malta stands by its story.